SSH is obviously the best solution but sometimes it’s just not available. Therefore, while phpMyAdmin is my go-to tool for managing MySQL databases, most e-commerce websites tend to grow significantly where this tool no longer works well. This is where I’ve even compressed the SQL file into a gzip or zip file and it still fails. It’s most noticeable with Godaddy! (Can I say I thoroughly HATE Godaddy hosting?) Aside from the many limitations on their Cpanel shared hosting, SSH is still not available on reseller accounts as of 7/21/15.As you may know, not having SSH is a huge blow when it comes to many tasks such as restoring large databases. While their support is quick, their tech support team consists of entry level students IMHO. To get help from an admin takes days. Maybe this is why I recommend Site5.com and host my clients on Site5.com. If you DO NOT HAVE SSH access, SQL Dump File Splitter2 will help you restore large SQL databases by splitting them into manageable chunks without pulling your teeth out! Although there may be fancier ways, this is the little Thomas train that could! 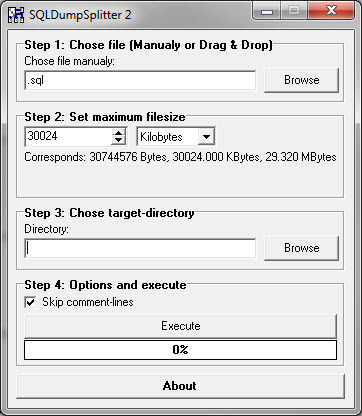 This free tool simply and effortlessly splits a SQL file into any size chunks you desire. 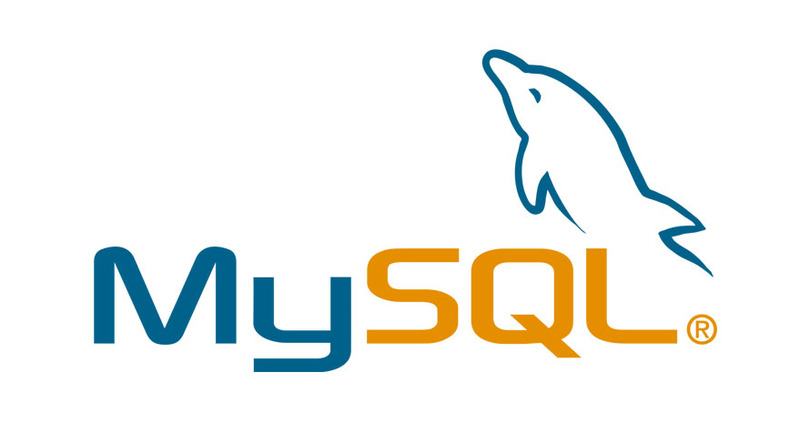 From there, you can use any other tool (I use phpMyAdmin or MySQL WorkBench) to import them file by file. It could be time consuming but it’s a sure fire way. These files are created with SQLDumpSplitter 2. If you want to restore the dump, you have to execute the file xxxxxx_DataStructure.sql first because it contains the structure like Tables. After that, you can execute the other .sql-files as they contain the data of the now existing tables. All thanks goes to Philip Lehmann-Böhm for this great life saver!